Has the UK made a legally valid decision to leave the EU? Article 50(1) of the Treaty on European Union states that "Any Member State may decide to withdraw from the Union in accordance with its own constitutional requirements." Article 50(2) commences - "A Member State which decides to withdraw shall notify the European Council of its intention ..."
The EU Referendum was held on 23rd June 2017 and resulted in a majority of the British people voting 51.9% to 48.1% to leave the EU - see BBC News 24th June and also HERE for further analysis of the referendum. The European Union Referendum Act 2015 provided for the referendum to be held no later than 31st December 2017. The Act did not impose on Ministers a legal duty to implement the referendum result but the result was accepted politically. The government and many lawyers had the opinion that prerogative powers relating to treaty making (and unmaking) could be used to give the Article 50(2) notice to the EU without the need for specific parliamentary authority. This resulted in the legal challenge mounted by Mrs Gina Miller and Mr Deir Dos Santos. Their argument was essentially that membership of the EU had given the citizen specific rights and those rights could only be removed by parliament and not by the executive using prerogative powers. This argument was founded on well-established law that the Royal Prerogative, whilst it embraces the making and unmaking of treaties, does not extend to altering the law or conferring rights on individuals or depriving individuals of rights which they enjoy in law without the intervention of Parliament – see Lord Oliver's speech in J H Rayner (Mincing Lane) Ltd v Department of Trade  2 AC 418 – (sometimes referred to as the Tin Council case). 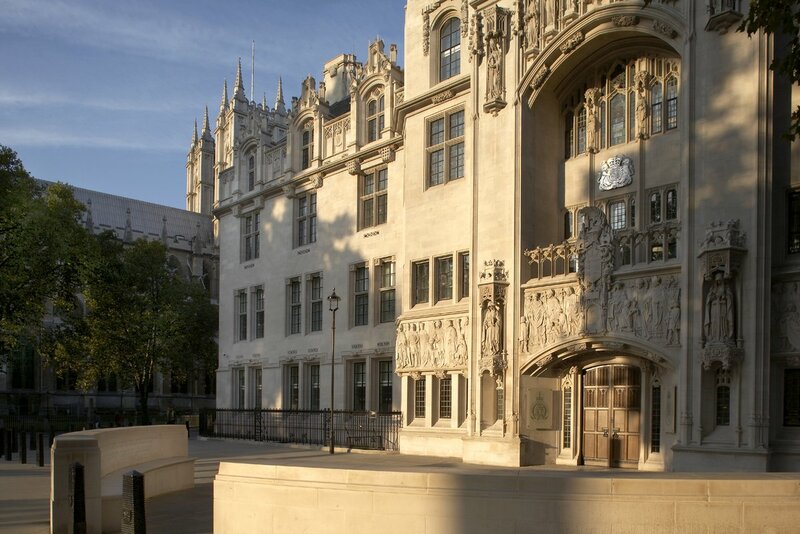 In R (Miller and another) v Secretary of State for Exiting the EU  UKSC 5, the Supreme Court decided by a majority of 8 to 3 that legislation was required to authorise the government to give notification to the EU of the intention to withdraw. (The government appealed from the High Court's unanimous judgment - HERE). The majority judgment of the Supreme Court has been the subject of trenchant criticism - notably by Professor Mark Elliott of Cambridge University - The Supreme Court's judgment in Miller: In Search of Constitutional Principle. Parliament duly enacted the European Union (Notification of Withdrawal) Act 2017 which, by section 1, authorised the Prime Minister to notify the EU. On 29th March 2017, the Prime Minister gave notice by letter to the President of the European Council and thereby commenced the 2 year period referred to in Article 50 - Post of 29th March. [Update: Formal negotiations commenced on Monday 19th June 2017]. It is worth pausing here to consider whether section 1 of the Withdrawal Act imposed a duty on the Prime Minister to notify the EU or was it simply a power to do so. If one views the wording and only the wording it suggests a power. The section has the heading "Power to notify withdrawal from the EU" and the section states that "The Prime Minister may notify ...." A different view is put by Robert Craig (LSE Law School and Durham Law School) in a post on the UK Constitutional Law Group blog - "Why an Act of Parliament would be required to revoke notification under Article 50. Craig points to the House of Commons Resolution of 7th December 2016 which stated that "this House respects the wishes" of the UK as expressed in the referendum and called upon the government to invoke Article 50 by 31st March 2017. The resolution did not have legal effect but it formed part of the background to the Withdrawal Act. Craig then goes on to argue - "It would be a mistake to think that Parliament merely conferred a discretion on the Prime Minister to consider whether to trigger Article 50. The better reading, following Fire Brigades Union, is that the Prime Minister had a discretion when, not whether, to trigger Article 50. Parliament therefore made its intention crystal clear. The short term discretionary power to trigger Article 50 may render the actual notification date temporarily uncertain under the Act, but the destination is not in doubt ...."
What of the decision to leave? The Notification of Withdrawal Act deals only with notification and does not state explicitly that a decision to leave the EU has been taken. This has led to discussion as to whether a decision to leave the EU has been taken in accordance with the UK’s constitutional requirements. Is the challenge by the claimants a challenge to the decision to withdraw or giving of the notice? There was some debate about whether the claimants' challenge is properly to be regarded as a challenge to the making of a decision to withdraw from the European Union under Article 50(1) or a decision to notify the European Council under Article 50(2). In our view, nothing really turns on this, since it is clear that the two provisions have to be read together. The notification under Article 50(2) is of a decision under Article 50(1). If the Crown has no prerogative power under the constitutional law of the United Kingdom to give a notice under Article 50(2), then it would appear to follow that under the provisions of Article 50(1) it cannot, on behalf of the United Kingdom, acting solely under its prerogative powers, make a decision to withdraw "in accordance with [the United Kingdom's] own constitutional requirements". However, we agree with the submission of Lord Pannick QC that, whatever the position in relation to any decision under Article 50(1), a decision to give notice under Article 50(2) is certainly the appropriate target for this legal challenge, since it is the giving of notice which triggers the effects under Article 50(2) and (3) leading to the exit of a Member State from the European Union and from the relevant Treaties. In Counsel Magazine, barrister David Wolchover argues that there is no legal basis for the 29th March notice to the EU - Article 50: The trigger that never was? Wolchover claims that the UK has not made a decision in accordance with UK constitutional requirements and it follows from this that the 29th March Notification is invalid. In the UK's constitutional arrangements, sovereignty rests with the Queen in Parliament. This leads to a view that it was for this sovereign body to legislate to make it clear that a decision had been made. As I have indicated in previous posts - 27th June 2016 ; 17th March 2017 and 16th May 2017 - I would have preferred this approach to have been taken. There is certainly no EXPLICIT statement in legislation that a decision to leave has been taken. The UK's constitutional arrangements do not derive from a formal (written) constitution. In practice, the elected government determines its policy and has to be able to secure sufficient support in Parliament to be able to implement that policy. With the necessary support, any required legislation can be enacted. The government has clearly set its course to implement the Brexit referendum decision and this can be done by bringing legislation before Parliament which, if enacted, results in Brexit. Whilst many might prefer Parliament to expressly state in legislation that a decision to leave the EU has been taken, it is not necessary for it to do so. This motion was passed by 448 votes to 75. Following the Miller litigation, there is also the enactment of the Notification of Withdrawal Act. Writing on 26th January, Jolyon Maugham QC wondered whether the government's Brexit Bill was sufficient - Does the government's Brexit Bill work? On 14th June, Maugham wrote a further article - On whether and why the Article 50 Bill is flawed - in which he wonders whether it was a deliberate political choice to source the decision "in the will of the people." He said: "If you were determined to leave the EU you would not want the decision to do so to be sourced in an Act of Parliament. After all, a thing that is done by MPs can be undone by MPs. But source that decision in the Referendum, source it in ‘the will of the people’, and it cannot be undone otherwise than by the people whose future will you could then choose to mute. And the fact that, legally, in the Referendum the people had not decided to leave but simply to advise Parliament, well, that would be a nuance too far for Parliament. It would lack the will or the courage or the perspicacity to seek to amend the Bill to introduce a decision to leave." Status of the Notification from an EU viewpoint? Article 50 is part of the law of the European Union. Article 50(1) requires a decision to leave to be made in accordance with the UK’s constitutional requirements. A decision has then to be notified to the EU – Article 50(2). Does this mean that if a decision is not made in accordance with constitutional requirements then the subsequent notification is automatically invalid? Professor Kenneth Armstrong (Professor of European Law, Cambridge) has argued that "it would not be for the European Court of Justice to make a determination of whether a decision had been made in accordance with domestic constitutional requirements. Rightly it would consider that to be a matter of the interpretation of domestic law." See his article at UK Constitutional Law Association - Has article 50 really been triggered? Professor Armstrong wrote that if it turns out that there is a legal defect capable of being challenged before a UK court which could suggest that a lawful decision is not in existence then self-evidently that would have domestic political and legal repercussions. But it would have no automatic legal consequences for the processes at EU level which are underway due to the Article 50(2) notification. We can be fairly sure that this debate will continue particularly as the Remain side continues to seek ways to stop the Brexit process. As things stand, the new UK Parliament is highly unlikely to stop Brexit given that the two largest Parties (Conservative and Labour) are both pro-Brexit albeit with some differences of detail and approach between them. The State Opening of Parliament will be on Wednesday 21st June. Thank you for drawing my attention to this post via Twitter. Very helpful summary, to which I'd like to add a couple of points. Paragraph 87 of Miller "As Lord Hoffmann explained in R v Secretary of State for the Home Department, Ex p Simms  2 AC 115, 131, “the principle of legality means that Parliament must squarely confront what it is doing and accept the political cost”, and so “[f]undamental rights cannot be overridden by general ... words” in a statute, “because there is too great a risk that the full implications of their unqualified meaning may have passed unnoticed in the democratic process”. Had the Bill which became the 1972 Act spelled out that ministers would be free to withdraw the United Kingdom from the EU Treaties, the implications of what Parliament was being asked to endorse would have been clear, and the courts would have so decided. But we must take the legislation as it is, and we cannot accept that, in Part I of the 1972 Act, Parliament “squarely confront[ed]” the notion that it was clothing ministers with the far-reaching and anomalous right to use a treaty-making power to remove an important source of domestic law and important domestic rights." To paraphrase, the removal of fundamental rights by Parliament can only be made by express language. Parliament has not "squarely confronted" that it was making a decision to leave the European Union. There has been little parliamentary consideration of the consequences of any such decision and it certainly seems fair to say therefore that "the full implications of [a decision to leave the European Union] may have passed unnoticed in the democratic process". The government, for whatever reason, (and Jolyon Maugham's surmise might or might not be correct, though it seems plausible) chose not to ask Parliament to make the decision to leave, but only to ask for a power (as you say, not a duty) to issue notice (of an "intention", not a decision). Furthermore, it is not yet known on what terms the government will propose to leave the European Union. We may lose all of our rights, we may lose only some of them. This raises the question: does the principle of legality allow a power to issue a notice to be taken to be an implied revocation of unknown rights? Finally, any argument that a decision by Parliament can be implied by the power to issue a notice must take into account the express words of David Davis to the House of Commons: "The House is currently considering a straightforward Bill that will give the Prime Minister the authority to trigger article 50 of the treaty on European Union and begin the negotiation over our exit. The Bill is not about whether or not we leave the EU, or even about how we do so; it is about implementing a decision already taken by the people of the UK in last year’s referendum." Given that the government's claim that the advisory referendum amounted to a decision in law was not accepted by the Supreme Court, we do appear to be left in the situation where no legal decision has been taken. As made clear by Miller, a decision cannot be, and has not been, made by the referendum or the government. And here is the Secretary of State telling Parliament that, by voting for the bill, they are not making a decision either. This seems to me to be more than a fanciful or overly legalistic point. Of course, the government can seek to remedy the absence of a decision at any time of its choosing by asking Parliament to enact an actual decision to leave the European Union. Thank you so much for this contribution to what is an interesting debate. It is something of a conundrum and I don't know the answer which would have to be answered by the courts should it ever get there.